If you're looking for a budget-friendly, easy to install seat cover you've come to the right place. MODA seat shields are constructed out of a durable Condura fabric that will protect your seats for many years. They also have a waterproof liner that will help with keep your seats in pristine condition. MODA seat shields are available in three different colors: black, grey, or tan. So choose the best color that will accent that interior of your vehicle. 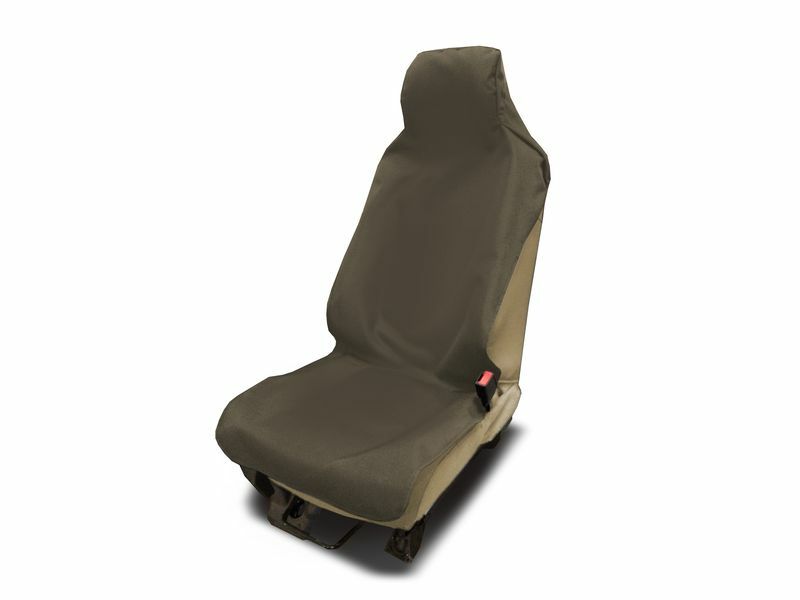 These seat covers are available for your front bucket seat or for your rear bench seat. The rear seat shield does accommodate seat belts and headrests so no need to worry about that. The MODA seat shields are perfect seat covers to protect your seats while you're on a budget. There's not much more to think of, so order yours today! MODA offers a one year warranty on the MODA seat shield. MODA seat shield if a universal one piece seat cover that easily slips over your seat back and seat bottom.